WILLIAMSPORT, Pa. – Police say a couple died last week after getting frisky in a car parked with the engine running in an enclosed garage in Lycoming County. Keith Payton and Salina Johnson, both 40-years-old, were discovered Friday around 9:30 p.m in a garage north of Williamsport. Old Lycoming Township police believed the two were engaging in sexual activities at the time of their deaths because Johnson was partially clad. According to police, the car’s ignition switch was still on but the car had run out of gas. They also found a kerosene heater that was turned on, but without fuel. Police say high levels of carbon monoxide were detected in the garage. Payton and Johnson were pronounced dead at 10:45 pm Friday, but police say their deaths occurred sometime earlier. 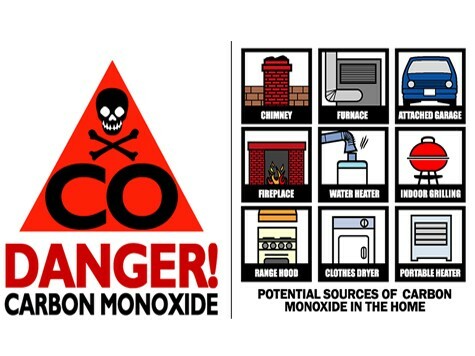 County Coroner Charles E. Kiessling Jr. confirmed that the cause of death was carbon monoxide poisoning. According to Police, Payton had gone to the garage on Thursday to drop off something for his brother who reportedly leased the garage. Payton’s brother then sent somebody to the garage to look for him and that’s when the bodies were discovered. Police also said marijuana and drug paraphernalia were also found in the car.